Home › Blog › What Does It Mean To Be Dapper? What Does It Mean To Be Dapper? First, let's start with the literal translation for 'Dapper'. *Bearing - verb. to carry or conduct oneself in a particular manner. As you can see, even by its definition, being dapper is more than just looking the part - it's living the part. To quote our good friend JC Donaldson, founder of the men's fashion brand Being Dapper: "Being dapper is a lifestyle." Now, join our team as we break it down into three easy to understand parts that'll have you on your way to the dapper lifestyle in no time. The most commonly known aspect of being dapper is dressing dapper. You have to take pride in your appearance and have a clear understanding that the clothing you wear WILL affect how people think of you. That being said, master the necktie, get yourself at least one suit jacket or tailored suit (darker gray or navy), and be willing to search for not just affordable but quality clothing. The dapper gentleman will buy clothing that fits his body type, meaning nothing too baggy or too tight, and he'll realize that everything he wears has a purpose. Beyond that, he also takes care of this clothing - making sure his clothes are always clean, ironed, and if necessary, polished. 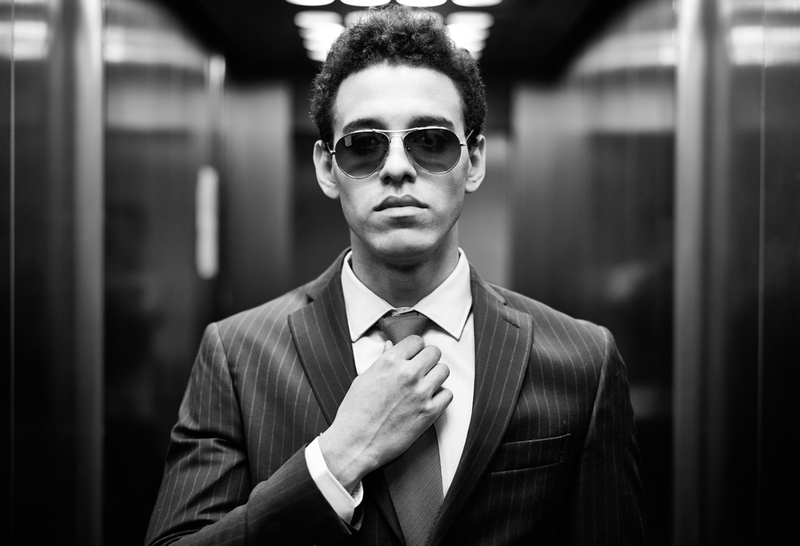 Don't think you always need to be wearing a suit, necktie, and leather shoes; just make sure that your clothes are clean and wrinkle-free, you've dressed appropriately for the occasion, and that you've actually taken the time to look your best. 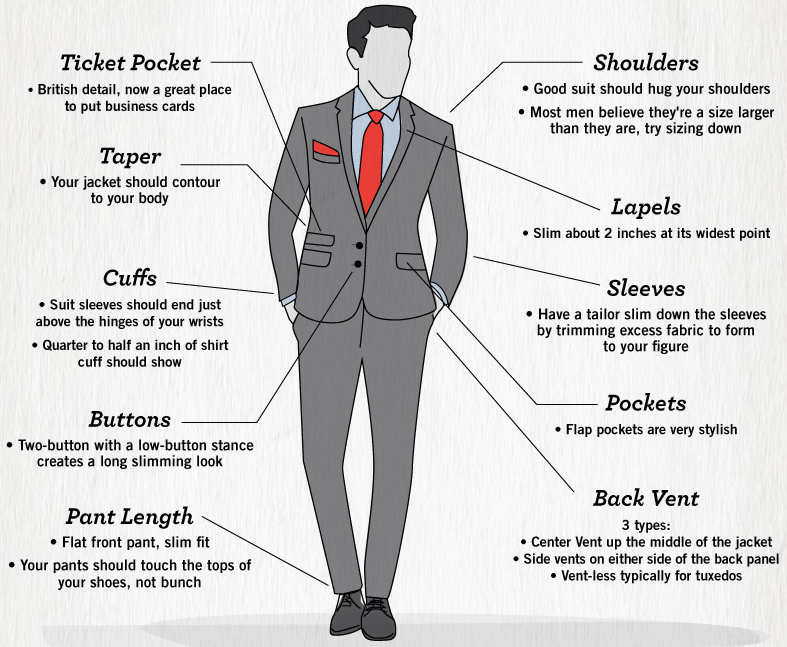 Visit the great team at Custom Made for their full infographic on how to dress dapper! You've got the outfit, the next part is to make sure you look dapper. The clothes definitely help, but this goes beyond thread and stitching - this second part definitely takes a lot more time and dedication than the first part. The second part is all about you. When you have bad breath, something in your teeth, dirty nails, or unkempt hair - good looking clothes will only get you so far (and trust us, it's really not that far). For a quick break down, the dapper gentleman will: maintain excellent care of his oral hygiene, this includes flossing and brushing at least twice a day; keep his hands clean and fingernails trimmed; schedule regular visits to the barber in order to keep his haircut, neckline, and beard looking clean; take care of his health by staying active and maintaining an able and ready body. We want you to know that you don't have to have washboard abs or bleach white teeth, you just have to be healthy and active. I mean, what good are super white teeth if they're crumbling apart -or- washboard abs if you can't even run a mile? 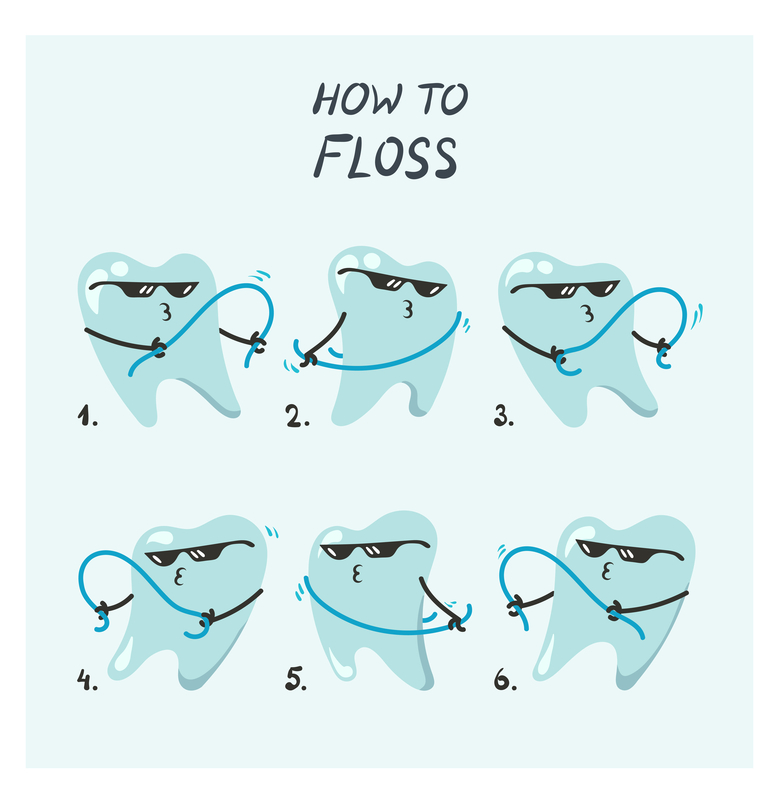 Are you flossing correctly? Incorrect flossing can damage your gums, while not flossing at all will lead to gingivitis. 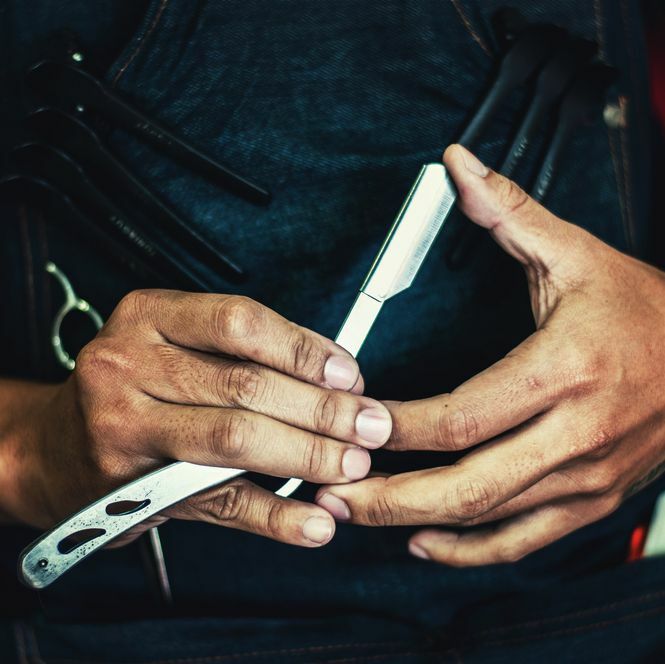 It can take time and patience to find the right barber, but not only are trims cheaper than full haircuts - barbers tend to cut deals for regulars. If you can't get out for a walk or run, stretching throughout the day is a great way to keep your body active and able. The hardest to achieve out of all three aspects, Part 3 of being dapper is all about your general mentality and the way you interact with the world/people around you. 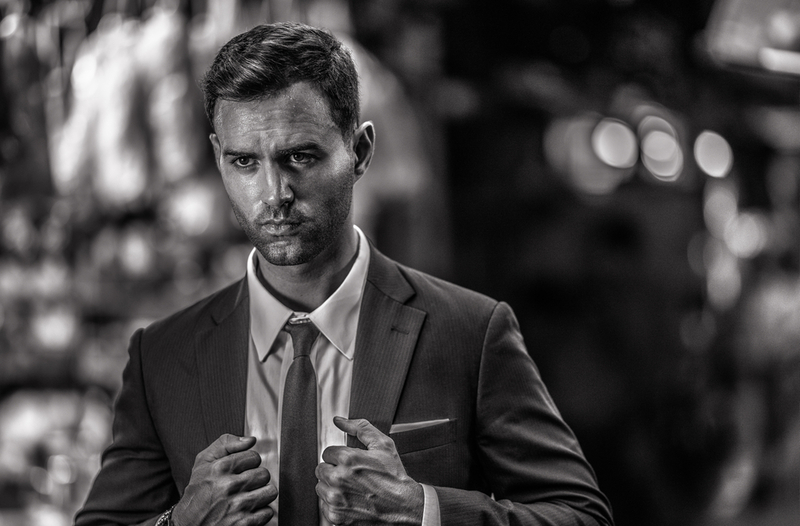 A dapper gentleman isn't just a pair of clothes and a clean cut, no - the dapper gentleman is a multifaceted mindset that can have you prepared for just about anything. Let's break it down into 4 key characteristics. 1. Confidence: This takes knowing who you are and what you want out of life. It's okay if you're not aiming to be a CEO, just make sure you have the drive and passion for something. Have you ever felt inspired by someone who was passionate with what they were talking about? Yeah, that can be you. 2. Reliable: Not just dapper gentlemen, but for anyone considering themselves a "gentleman", you need to be reliable. The easiest way to show you're reliable is to show up on time, but know that "on time" is at least 5 - 10 minutes early. From there, just make sure you stick to your word and you stop with making excuses. 3. Chivalrous: If you're unfamiliar with the word 'chivalry', I'm not surprised. While you're free to look up the full definition, our main focus with chivalry in this context is courteous behavior to your fellow man, especially women and the elderly. All this means is that you show respect to everyone around you. The dapper gentleman, however, will go a step further and treat the world and objects around him with respect as well. 4. Level-headed: Repeat after me, "In times of stressful or chaotic situations, I, the dapper gentleman, promise to keep my cool and think with a calm mind." It's not going to help anyone if you constantly get angry or end up in a panic when in a stressful situation. Keeping your feelings in check during times of stress can be the difference between success and failure. Be confident in more than just your clothes and look, be confident in yourself. 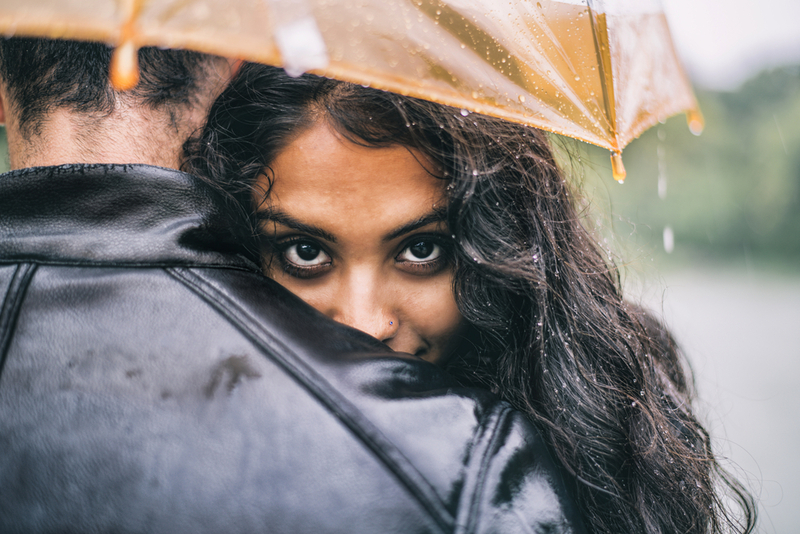 Pro Tip: If she's cold, offer her your jacket! That's it- you're finished! We appreciate your patience and know it's a bit of a longer read, but this is no easy question to answer! Do you have any comments or thoughts on what it means to be dapper? If so, please leave them in the comments below or on any of our social media sites!